"We decided to buy a Hartford home at Cronk Cullyn because of their reputation for quality. 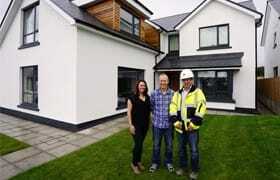 We are delighted with the finished house due to the high standards of fittings and insulation. The development will suit all generations which is important to us as we have just become grandparents. Hartford’s part exchange scheme made the move as easy as possible." 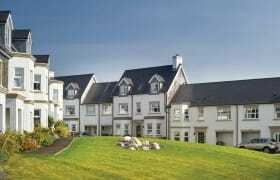 We are delighted with our new Hartford home at Cronk Cullyn, the end result has completely exceeded our expectation. We knew from the outset that we would like to make some changes to the floorplan to suit our personal preferences and Norman, James and the team couldn’t have been more helpful in accommodating our requests and they were able to guide us towards making the right decisions based on their experience. The communication with us throughout the build made us feel completely engaged in the process and we felt that our opinions and preferences really did matter. As the first residents to move into the development we were naturally concerned about continuing building works around us but the team on the ground go to great lengths to ensure that any disruption is kept to a minimum and the site is kept clean and secure. Our previous home was built by another well known local developer and the experience with Hartford is incomparable, which I put down to the willingness to communicate openly with us and allow us to make personalised choices at various stages in respect of the overall finish. 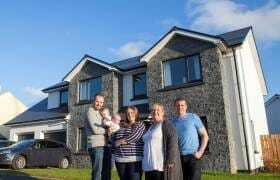 The Hartford Homes 'Rent to Buy' scheme enabled my wife and I to add a considerable pot of money to our existing deposit fund over the course of a year and bypass at least one rung if not two of the housing ladder into our dream home at Knock Rushen far quicker than we would have managed in the traditional manner! Everything was agreed 100% in advance with Hartford and all played out as organised with the kind of customer service you only get form a family owned and run business these days. We’re now in a great financial position to move on to the next rung of the ladder but have no need to for some years yet. New houses can often have a lot of kerb appeal but fall short on the fixtures and fittings but with a Hartford Home you are getting real quality and style.